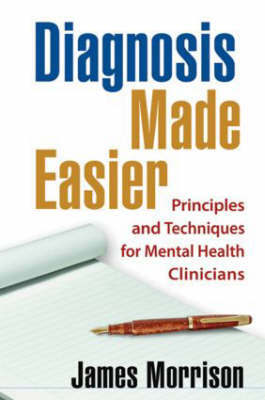 This authoritative, highly user-friendly book offers a complete introduction to the art and science of mental health diagnosis. Meeting a key need for students and novice clinicians, James Morrison, the author of the bestselling DSM-IV Made Easy, systematically takes the reader through every step of the diagnostic process. He provides clear-cut principles and decision trees for evaluating information from a variety of sources and for constructing a valid working diagnosis that serves as a foundation for treatment. Special features include quick-reference tables, sidebars explaining key concepts, and over 100 case examples that bring the approach to life.